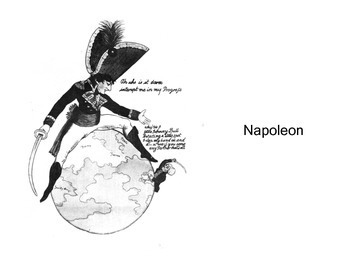 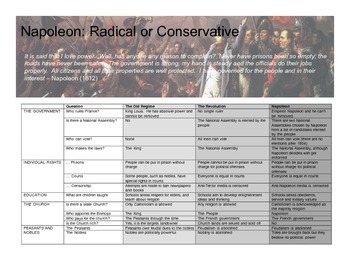 40-slide presentation on the reign of Napoleon in France and his expansion of his control across Europe. 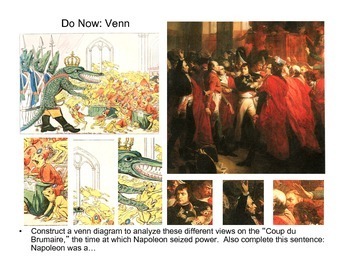 The lecture also covers his use of royal symbolism to project his power. 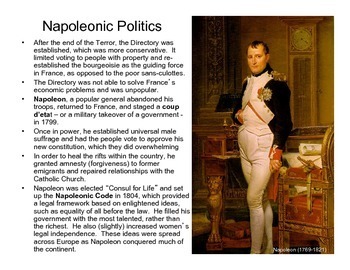 Numerous primary and secondary source documents are included (charts graphs, photographs, political cartoons, quotations, drawings, and government documents).